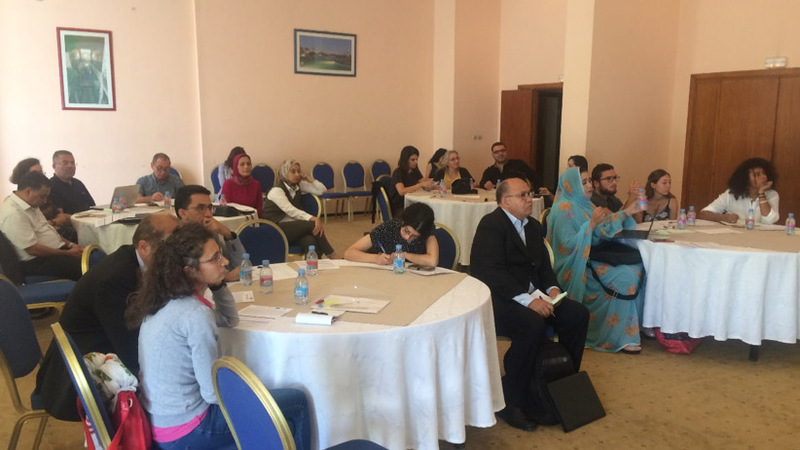 The first capacity building workshop of the MADFORWATER project took place in Agadir (Morocco) on October 3, 2018, in combination with the international conference “Managing Water Scarcity in River Basins:Innovation and Sustainable Development”(Agadir, October 4-6, 2018). 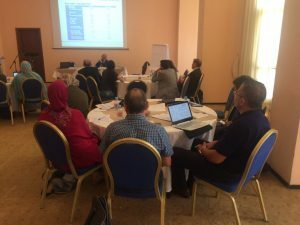 The workshop, organized by the Mediterranean Agronomic Institute of Bari and by the Institute Agronomique et Veterinaire Hassan II, was attended by 16 stakeholders coming from Morocco, Tunisia, Egypt and Burkina Faso and active in the fields of: agricultural and environmental assessment and monitoring, water resources management and allocation, treatment and use of saline water and wastewater in agriculture. The representatives who attended the meeting belong to the following institutions: RAMSA – régie Autonome Multi Services d’Agadir (Gestion de deux services publics dans le Grand Agadir: Distirbution Eau and Assainissement liquide); IAV-CHA – Institute of Agronomy and Veterinary Medicine, Agadir; ONEE- L’Office National de l’Electricité et de l’Eau Potable, Agadir; ORMVA/SM – Office Régional de Mise en Valeur Agricole du Souss-Massa; INERA- Institut de l’Environnement et Recherches Agricoles, Burkina Faso. 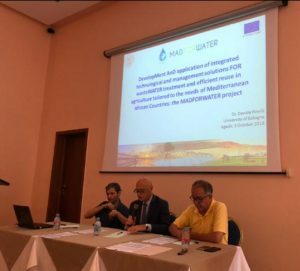 The workshop was articulated in a first session aimed at an illustration of the MADFORWATER technologies for wastewater treatment and for an efficient use of treated wastewater in agriculture, and a second session aimed at gathering the stakeholders’ feedback on the MADFORWATER technologies and approach.